The ultimate in luxury living, an infinity pool is a must for anyone who wants to turn their backyard into a five-star resort. Perfect for those with a sloping block or a spectacular view they want to take advantage of, the clever design makes it appear as though the water within the pool is extending infinitely on into the horizon. Why Choose an Infinity Pool? This style has become popular thanks to the prestigious and opulent finish they offer any property. Previously only seen in luxury tropical resorts, they are the ideal way to bring the holiday experience into your own backyard. Whilst they can be a more expensive option, the value and beauty they add to your home is unsurpassed – whether you’re having a swim or relaxing by the pool’s edge, your new infinity pool will be the perfect way to complement your lifestyle. The pool coping is set a few mileometers below the water level, which means the water is constantly filling over the side into a catchment basin installed below, before being cycled back into the main shell. Do they need added maintenance? Though they may look as though the water is continuing on infinitely into the distance, this is actually the result of a clever design. As well as creating a stunning optical illusion, it also ensures the pool is kept cleaner and healthier, thanks to the constant flow of water. What property will they work best with? Whilst this style is loved by many, your infinity pool builders will tell you that it works better on certain properties than it does on others. We’ve found that homes set on a sloping block often have stunning views to take advantage of – such as lush forests or the ocean! 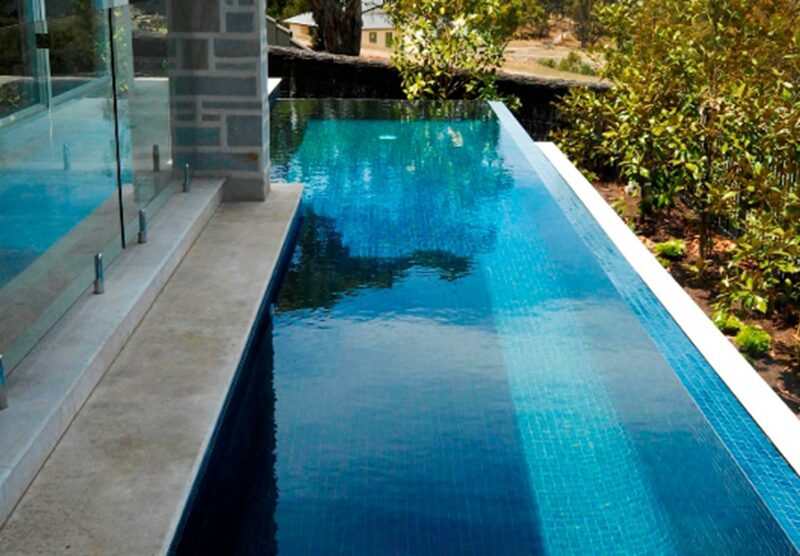 An infinity pool often requires extensive excavation and landscaping, not to mention detailed plumbing and design. This can lead to a more expensive price tag – though the end result is always worth it. Based in Ravenhall, Coral Pools is proud to offer its professional pool building services to the western Melbourne region, including Deer Park, Derrimut, Laverton, Sunshine, Caroline Springs, Altona, Rockbank, Tarneit, Hoppers Crossing, Williamstown, Werribee, Point Cook and many more. Please contact us to see if we install infinity pools in your area.